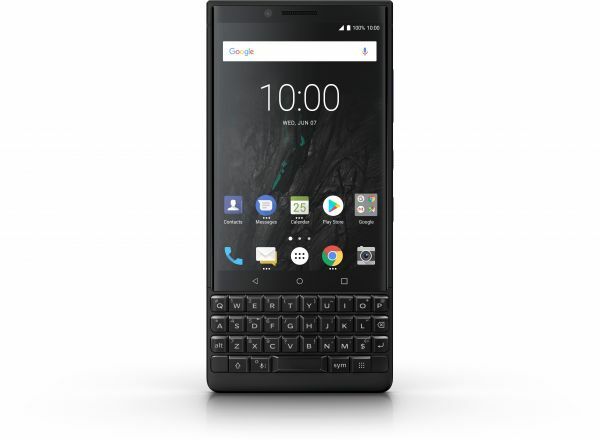 The BlackBerry Key2 is a unique smartphone that excels on all fronts. It has the design and functionality to give you a premium grade-smartphone experience. This BlackBerry smartphone is crafted for doing more on the go. It has a thin and lightweight design that lets you hold it effortlessly. This smartphone not only offers easy portability but provides excellent durability. Its stunning 4.5inch display is made of impact-resistant Gorilla Glass, which is perfect for withstanding the rigors of your rough lifestyle. The display delivers outstanding clarity and details for immersive entertainment. This BlackBerry phone features an intelligent keyboard that makes chatting and writing emails a breeze. It features an advanced Speed Key that allows you to activate shortcuts to apps. Also, the speed key lets you initiate actions from anywhere without swiping endlessly or returning to the homescreen. Furthermore the impressive 3500mAh battery of this phone provides up to 2 days of runtime in a single charge. This BlackBerry mobile is equipped with a 12MP plus 12MP dual camera the rear side. The dual camera has features like HDR, scan, 4K video recording at 30fps, and private capture. Also, the 8MP front camera with selfie flash lets you capture gorgeous selfies at parties and functions. The BlackBerry Key2 is powered by a Qualcomm SDM660 Octa-Core processor that is engineered to run all the high-end features of the phone with incredible efficiency. Additionally, the 6GB RAM gives this phone the responsiveness to handle heavy-duty multitasking. With the massive inbuilt memory of 128GB, you can store everything from your favorite videos to music in one place. The preinstalled Android 8.1 Oreo offers fast boot-ups and innovative features for a user-friendly experience. Available in a black finish, the BlackBerry Key2 has professional look that makes the perfect impression. Blackberry is good for professionalism and battery timing. Blackberry always keep the standard upmost.